Once you’ve learnt how to get to grips with a guitar, learning to play a different stringed instrument is relatively straightforward, broadening your outlook in the process. 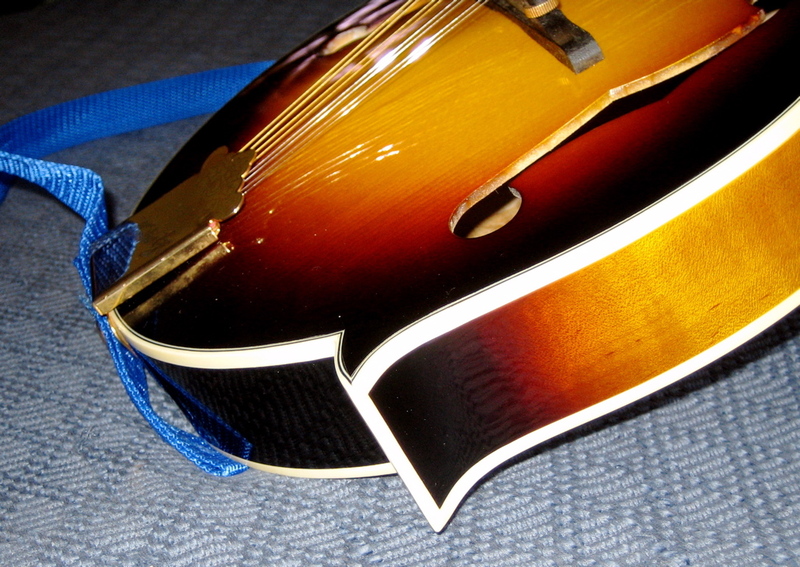 Take the mandolin, for example – a great second instrument for any guitarist. Its courses (pairs of strings) are tuned to the same pitch as the strings of a violin – g-d-a-e – which throws all your scale and chord shapes right overboard. There are three different basic types of mandolin: the bowlback Italian mandolin is the senior member of the family, and closely related to Middle Eastern instruments, such as the saz. The Portugese/Irish mandolin is build with a straight back, much like a guitar, making it easier to hold and play. The carved-top Bluegrass-mandolin is an American invention from the very last years of the 19th Century, taking its cue from the building principles behind a violin. Orville Gibson’s (1856–1918) quality mandolins laid the groundwork for what was to become the famous Gibson-brand. Renowned musician and luthier Lloyd Loar finalised the Gibson-mandolin around 1920. 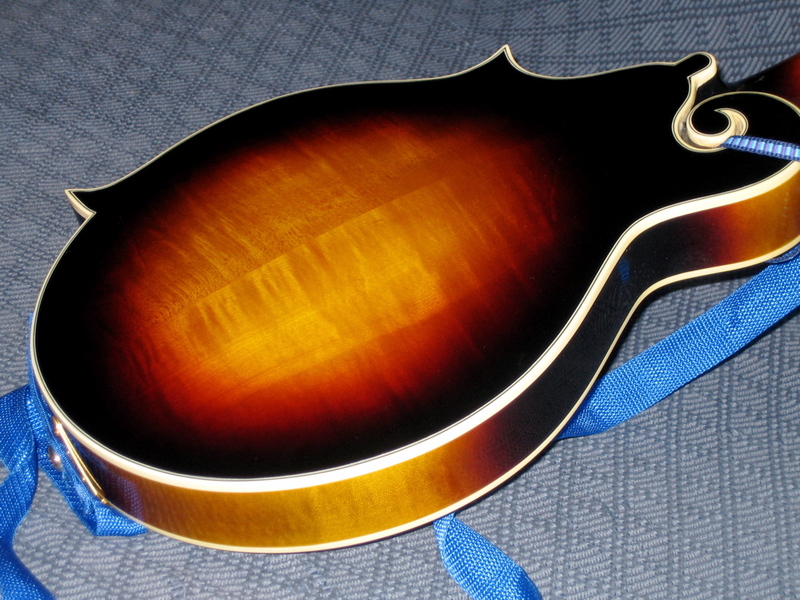 My own mandolin is a Chinese-made, all solid wood Kentucky KM-630, pattered after a typical F-Style Gibson-mandolin. It features a spruce top as well as a back and sides made from maple. 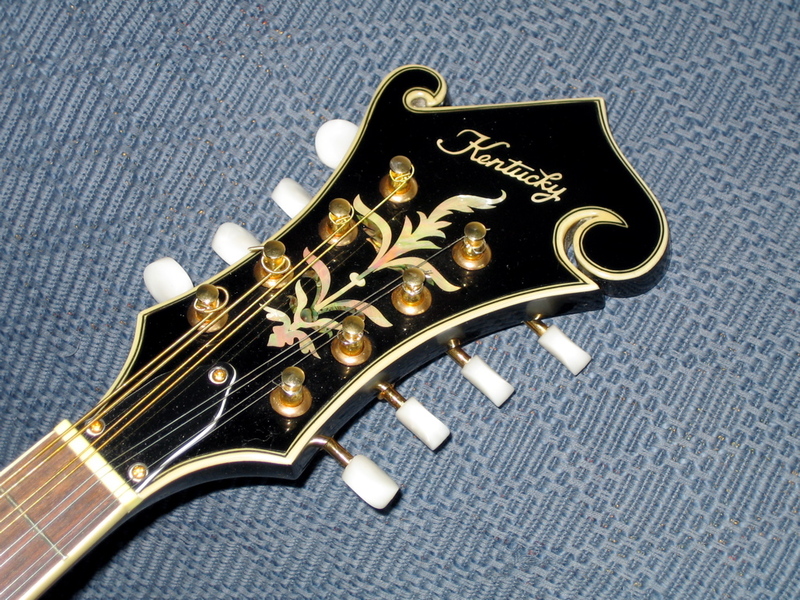 The headstock is replete with fine inlay work. The well-applied finish really shows off the back’s figuring (flame). The maple neck too is finished in a rich sunburst. 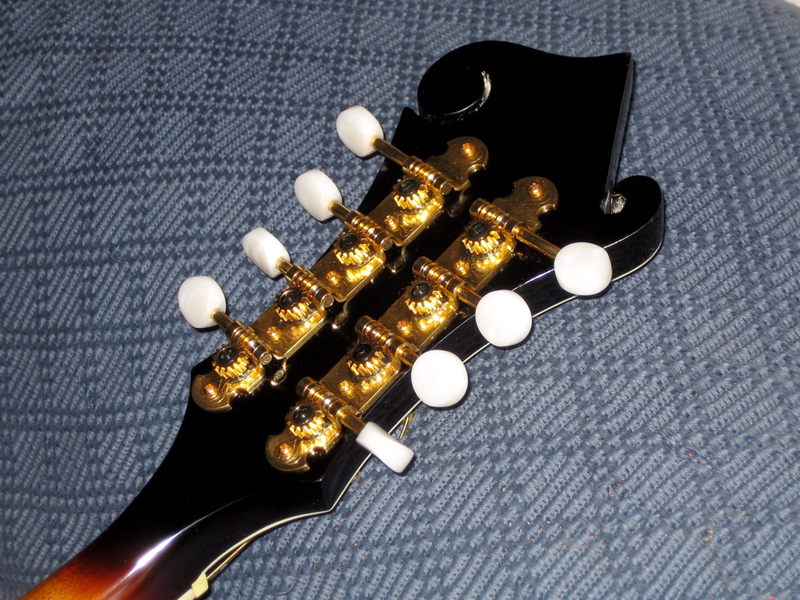 Gold-coloured tuners round off the picture. 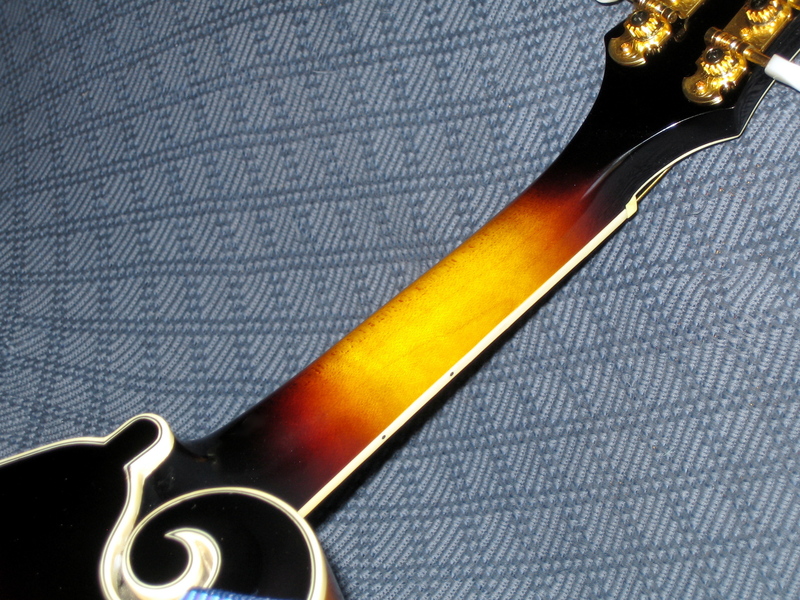 When shopping for a mid-price Bluegrass-mandolin check the neck for straightness, as well as the quality of the fretting. Make sure the free-standing bridge is OK and works as it should. The relatively hard string pull, along with transport/storage in too dry a place can sometimes lead to a cracked or collapsing bridge.